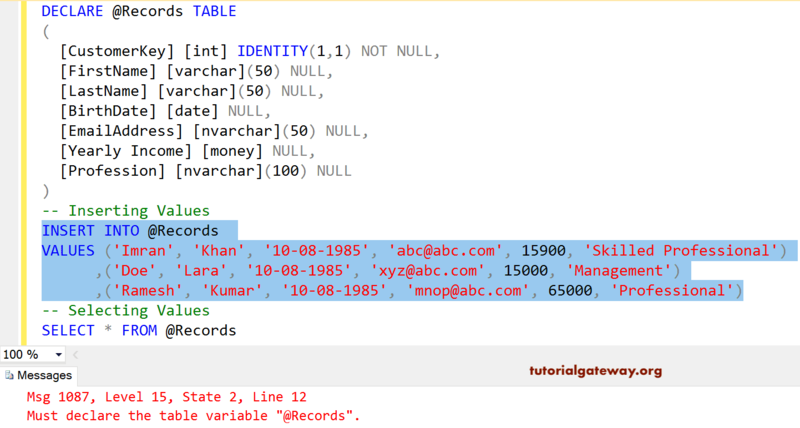 The Table Variable in SQL Server store a set of records like SQL tables and these are the best alternative to Temp Tables. Like Local Variables, Table variable scope is limited to User Defined Functions or Stored procedures. 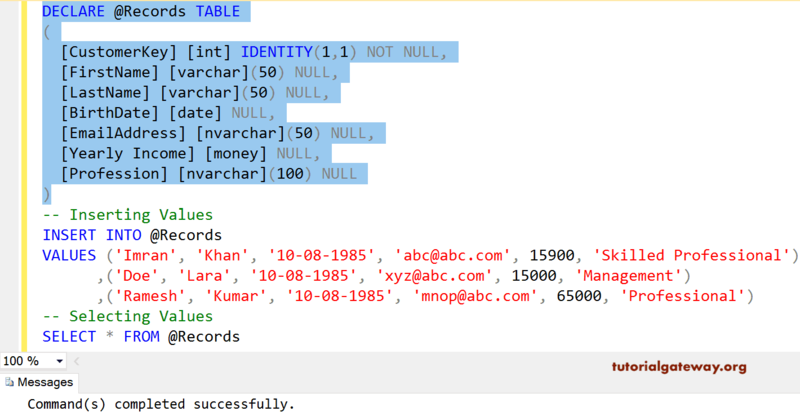 The Sql Server Table variable is very fast when compared to temporary tables, and it is recommended to use this for less amount of data. TIP: You cannot use a table variable as either Input or an Output Parameter. 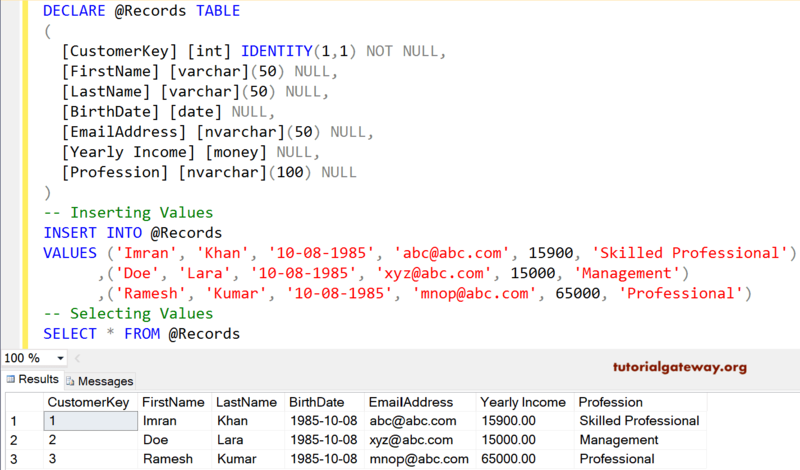 In this example, we will show you, How to Create a table variable, How to insert new records into it, and how to select records from the table variable. As you can see from the above screenshot, we are executing all the statements together. let me show you, what will happen when we execute them independently. Hope you understood the scope of a table variable.